Hauck’s RFG radiant tube burners provide reliable ignition, flame stability and uniform heat distribution in all radiant tubes. The fixed spin plate construction allows for specific and repeatable air flows with a standard flame length relative to the burner’s capacity. RFG burners are available with capacities from 200,000 to 1,200,000 Btu/hr (58 to 317 kW). The RFG can fire any clean industrial fuel gas with a higher heating value of 500 Btu/ft (19.7MJ/nm3) or greater with ambient or preheated combustion air. 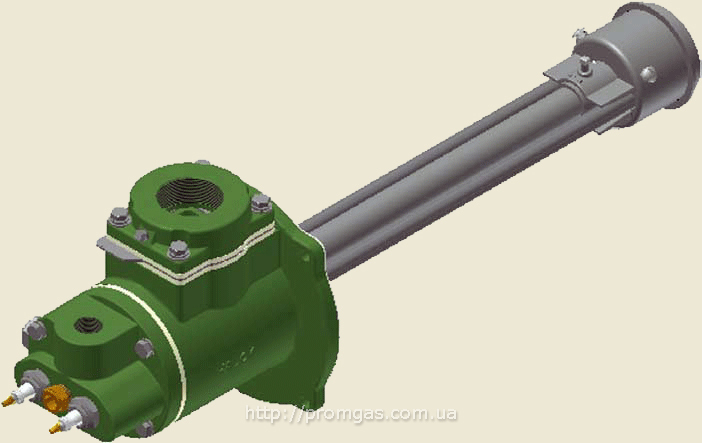 RFG burners are normally operated with automatic control systems. They can be used in cross-connected ratio, high/low or high/off control systems and offer reliable pulse firing ignition. The RFG burner features industrial grade bolted castings with a modular construction. Reliable ignition is provided through the integral spark igniter. 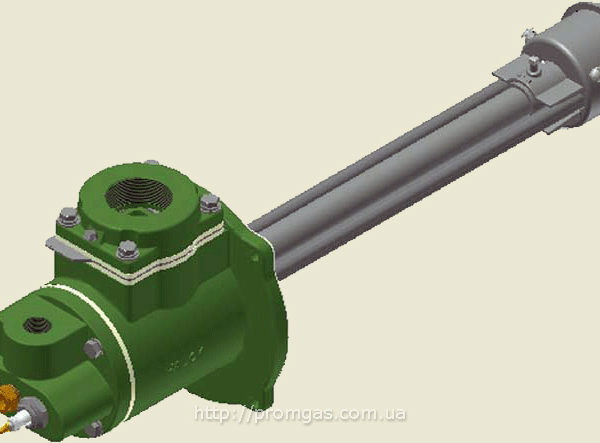 The RFG features an integral gas limiting orifice valve, eliminating the need to purchase and install this component separately. The burner is easy to use with very little operator adjustment required. The burner’s low pressure design requires less combustion air pressure to operate the burner, substantially reducing the combustion air blower’s power consumption. This feature also makes it ideally suited for use with preheated air via a radiant tube plug-in recuperator such as Hauck’s RADimax for additional energy savings. The use of flue gas inspiration (FGI) can significantly reduce NOx emissions. Hauck’s FGI system employs our patented method of using compressed air to entrain exhaust gases into the combustion air. Subsequent introduction of flue gas laden combustion air into the burner reduces the peak temperature of the flame resulting in lower NOx emissions and high thermal efficiency.